Business environment is changing so fast today. Business users must analyze a lot of information to remove hidden risks and accelerate growth. Data-driven analyzing information and forecasting the future became essential for businesses to understand customer’s needs that changes rapidly. We design optimized architecture for your business through consulting with data analytics system. And then, we provide analyzing and reporting solution which is easy to use for anyone. We also have additional advanced solutions such as big data engine, statistical analytics or data mining for you to work smarter and faster. We make your business environment efficient through systemizing and automating the process of analytics with all our end-to-end BI solution. BI MATRIX provides BI & Big data solution for making data-driven decisions and strategy to cope with business environment that changes so fast. There’s a lot of competition in your industry. Data analytics became necessary for every business to gain new insight in this situation. BI MATRIX Solution speed up the delivery of accurate information to help minimize business risk through data-driven decision making. You can forecast the future issues and remove the hidden risks in your business by data-driven operating. BI MATRIX develops analytics · plan solution applicable to all the industries of steel, finance, distribution or government, etc. Also, we provide end-to-end technology from big data, AI analytics, BI system buildup to consulting. BI MATRIX Solutions is simple, speedy, smart software that ultimately improve the primary process of collecting, inputting, reporting data. Any users in any area can make the best use of BI information including Dashboard, OLAP, EUC or simulation, etc. 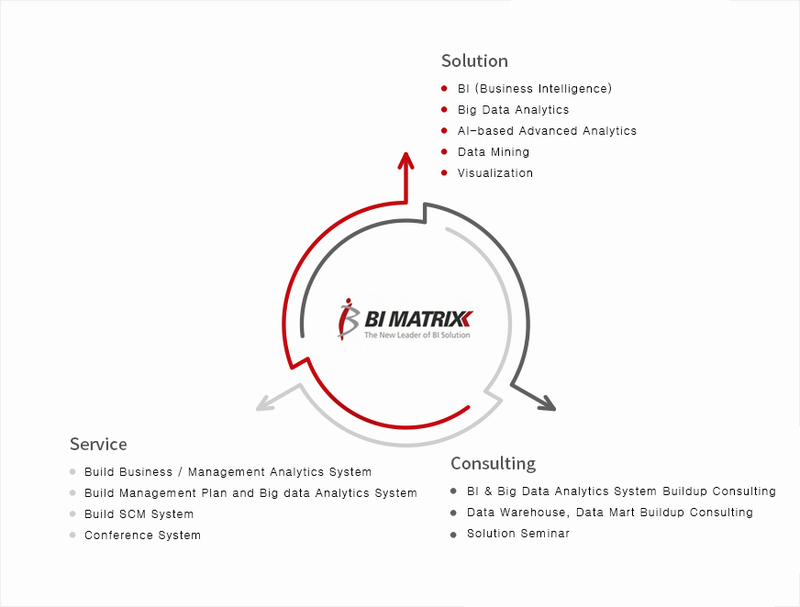 BI MATRIX provides end-to-end strategic products based on data analytics such as Korean leading Enterprise BI Solution, AI Solution with data mining and SCM Solution. 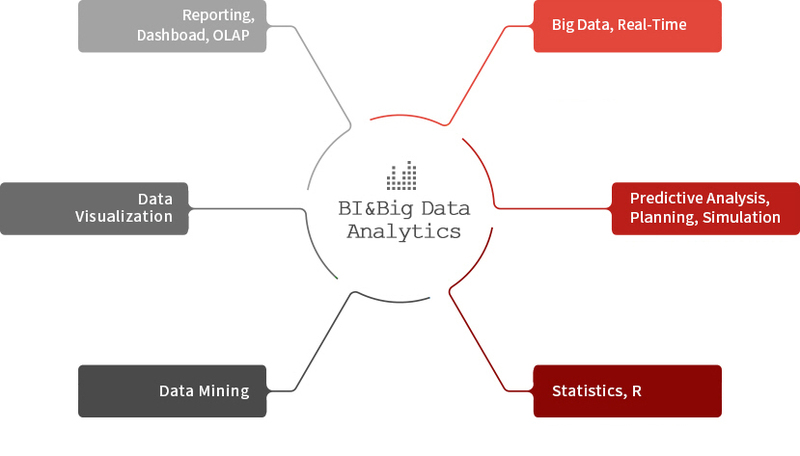 We have expert group who has fluent experience and knowledge of BI & Big data including big data analytics, visualization and data mining, etc. There are 80% professional developers of employees who want to make a difference for your business. We have secured many top class customers by diversifying products and services such as advanced statistical analytics and data mining based on our know-how. We won customers’ confidence with our own development methodology and technology. BI MATRIX R&D center actively reflects the demands of market in our technology.